Lega-M5s government contract, who prevailed on the issues - Cattaneo Zanetto & Co. The report by Cattaneo Zanetto & Co. and YouTrend is reported by TgCom24. 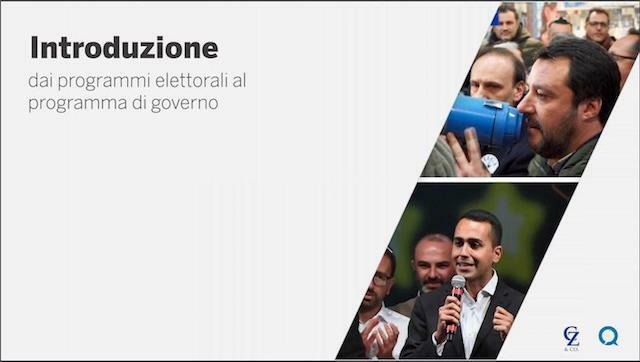 From the election platforms of M5s and Lega to the contract for the new Government: the issues of Lega prevailed, and the text – a purely political one – is non-binding for either Government or Parliament. Cattaneo Zanetto & Co. S.p.A.